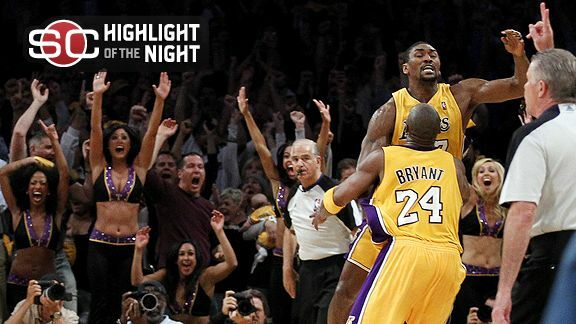 Kobe had a chance and missed, but Ron Artest was there for the put back to win game 5 at the buzzer! The Suns played a tough game but the Lakers stood in there and won the game 103-101. Kobe had 30 points, 11 rebounds, 9 assists in the win.